Are your kids afraid of tutoring? Mine are so shy they don’t want to ask for help from anyone but me…until we found Yup! 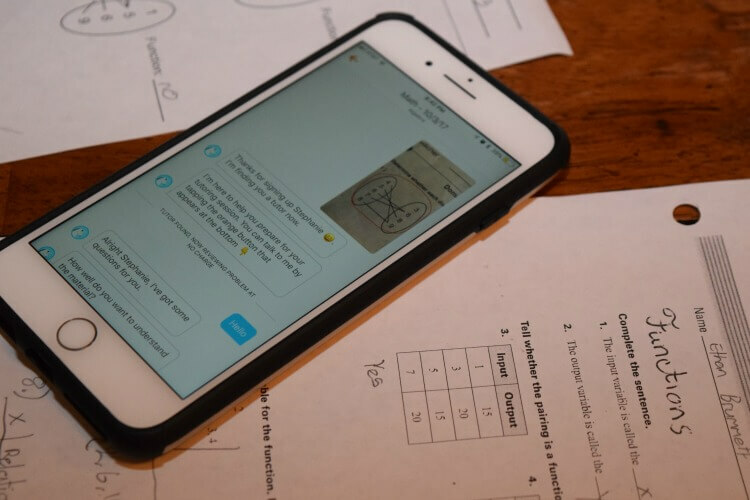 It’s a tutoring app for both Android and iOS for the texting generation. I have four kid and two of them are teenagers. Most of the time I tutor them in their studies, including advanced math. I went through Calculus 2, and I love math. So, tutoring is fairly easy for me once I do a quick brush up on what they need. Unfortunately, with a new baby in the house, I don’t always have time to help them. Then, they prefer trying to find a friend who can help, which isn’t always successful. I finally convinced both my teens to try Yup. 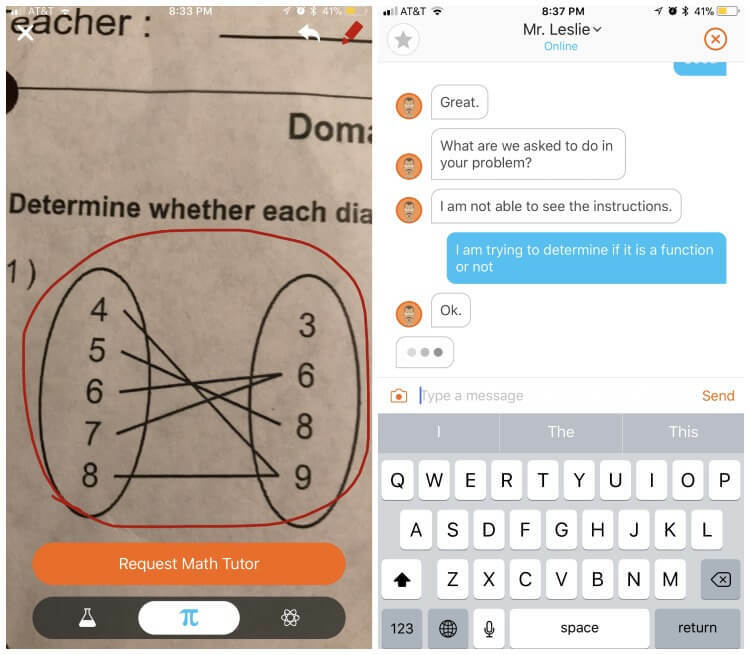 My son needed help with functions in Algebra one night, so we logged into the Yup app. He simply took a picture of one particular problem and requested a Math Tutor. We waited just a minute for a tutor to come online. Then, Mr. Leslie worked with him through text messaging to solve the problem and to make sure he knew the rules for determining functions. My son was terrified of talking to a stranger, but by knowing it was done all through texting, it took a lot of the anxiety and pressure off of him. His problem took about 5 minutes in tutoring time. 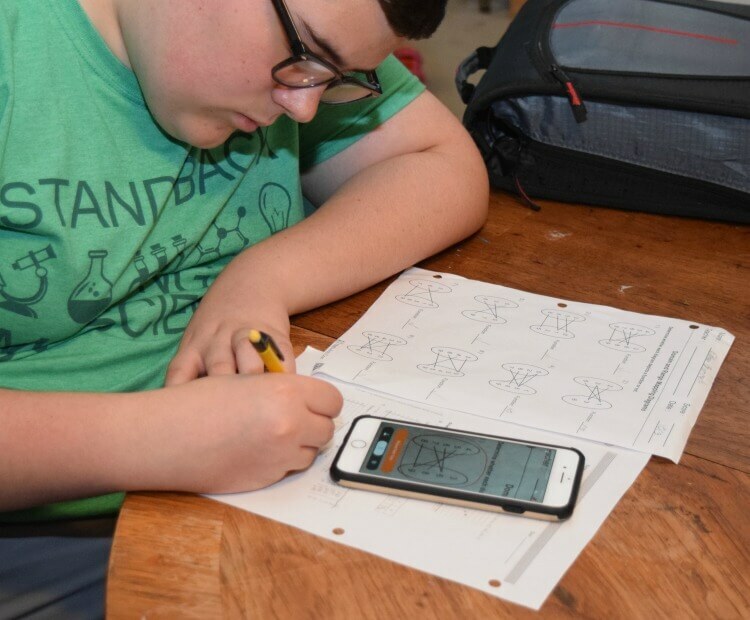 From his tutoring session with just that one problem, he was able to extrapolate and complete all the homework successfully. This service is for high school ages 13 to 18 years old. They can help with all kinds of math all the way up to Calculus as well as with physics and chemistry. I have been really impressed with the math help my teens have received. We have not tried the science tutoring yet, but I’m sure we will soon. With Yup, students have 24/7 access to elite tutors who are tested, trained, and tracked. This was a big seller for me because sometimes it’s 9 o’clock at night when they need help, and sometimes, they wake up extra early and need a quick tutoring session when it’s 6 o’clock in the morning. I can’t tell you how much my teens and I love this app! 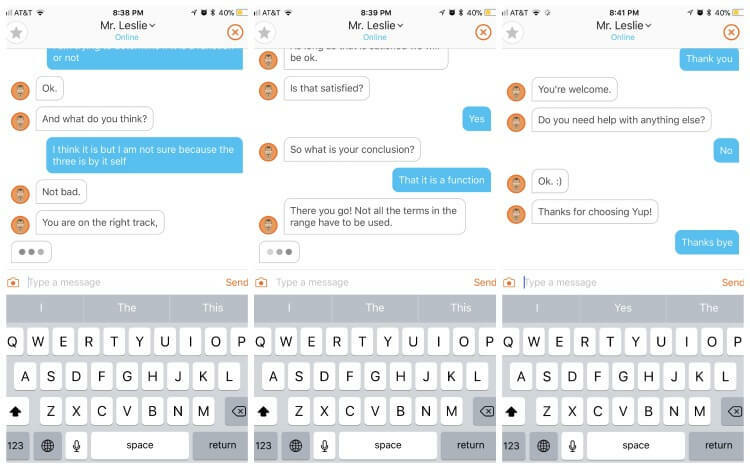 The next time your teen needs some extra help in math or science, check out Yup. It’s built for the students of today. Our phones are now much more than phones aren’t they? That’s a great app and a great help from what I gather! WOW! It’s nice to see apps that actually help and educate at the same time! Awesome! Technology is truly amazing. I think that is so awesome a phone can help teach children math. We are a homeschooling family. I will totally have to keep Yup in mind as my kids get older and need more educational help! It is okay to use handy in tutoring but really, it is so hard. Computer screen sharing maybe would be better. But if non, this is already helpful! They learn so much nowadays that I don’t remember how to do. 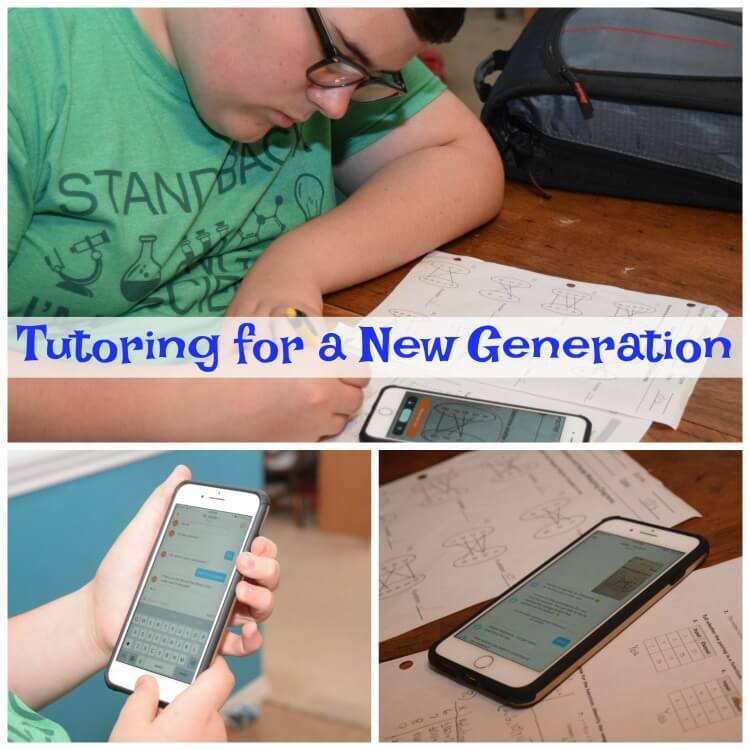 These apps like this that tutor are a parent’s lifesaver. WOW this is super cool! I never heard of this tutoring super convenient ! I am keeping this in mind as my kids get older and might need tutoring! This app is amazing!! Definitely bookmarking this for future use! Wish we had had something like this when I was a teen! Would have made learning so much easier. Will keep this in mind for my daughter! Can we say – Thank You? 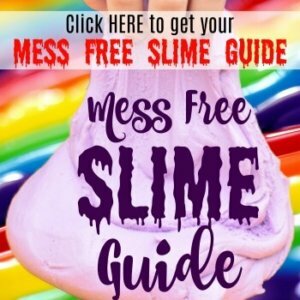 This is something I can definitely see myself using for my up and coming teen. I am struggling with her math now so knowing that there would be a light at the end of that tunnel is awesome! Thanks for sharing! Private and can be used in the comfort of their favorite place (their bedrooms, lol). This sounds great! Thank you so much for the code too! I’m sharing this! I have a 12-year-old who would use this all the time. Thanks for the info – we are going to try it out tonight.